How utterly amazing would this be for a wedding? Somebody do this please. 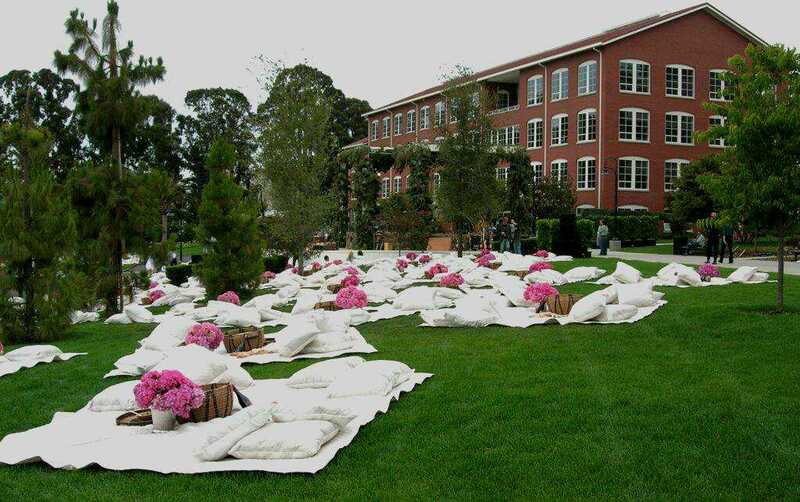 I am too far along in the planning process and there are chairs involved but if I wasn't, I would for suurree do this. The little buckets of hydrangeas are perfect and all the white pillows...love. Ah! It's like my dream...my big, fluffy, down feather dream! What a fantastic idea! I would love to lounge outside and spend my weekend like this. It would be even more special at a wedding.